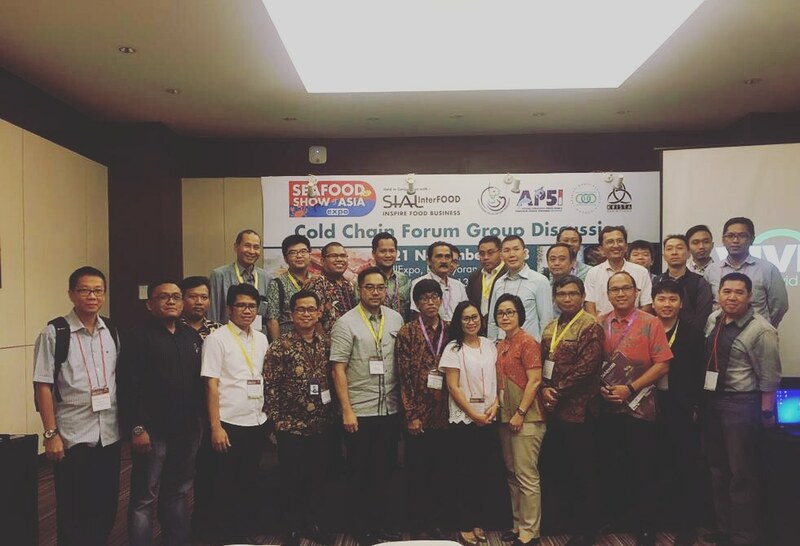 Indonesia Cold Chain Association (ARPI) with PT. 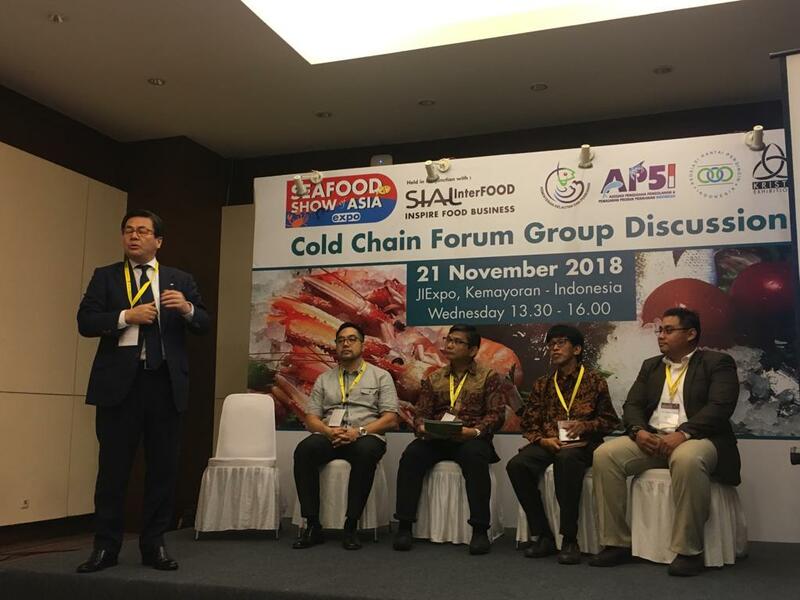 Kristamedia (EO of Seafood Show of Asia & SIAL Inrefood Expo) held a Forum Group Discussion (FGD) “Future Cold Chain Solution for Seafood Products”. Attended by cold chain industries (cold store, distribution center, 3PL Logistics, retailer, cold transportation, e-commerce, universities, media partners, etc), FGD showed 4 (four) experienced speakers. Yamato holding talked cool parcel delivery, how to connect fresh products delivery with good service providers based on their experience to provide cross countries delivery. With having same cold chain infrastructure between Philippines and Indonesia, Philippines Cold Chain Association told how to provide a good supply chain with having 3-PL management system from load-unload products at port until minimarket’s store. 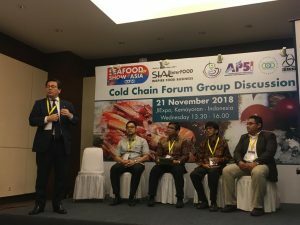 ARPI explained Indonesia cold chain industry outlook 2019. With having a good CAGR in insulated panels, rental cold storage, condensing-evaporator unit, and refrigerated transportation, our cold chain will be still growth regarding to provide end to end cold chain business. PT. EST International that having refrigerated vehicle workshop talked about euthetic refrigerated transportation. This is one of a good cold supply chain solution for limited electricity in remote area. Seafood products is still have this problem.